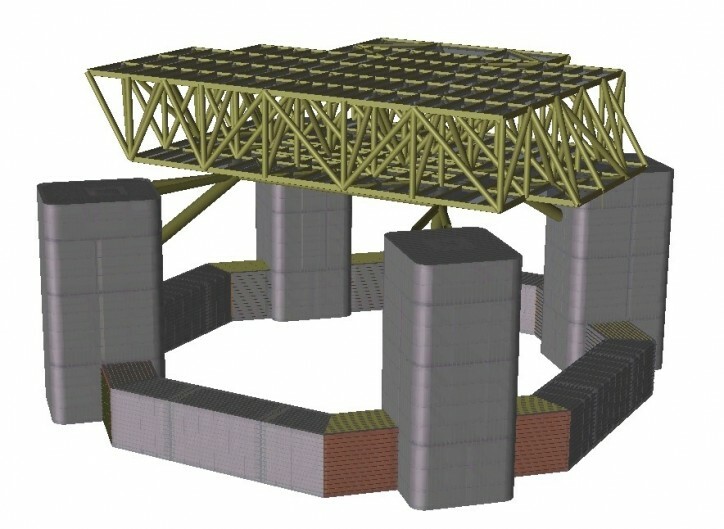 ABS, the leading provider of classification and technical services to the offshore industry, and Samsung Heavy Industries (SHI) of South Korea announce the conclusion of a joint development project (JDP) for a new tension leg platform (TLP) design. The new TLP hull concept, the Samsung Enhanced hull for Tendon (SET) TLP, was developed using boundary conditions such as those encountered offshore West Africa. One of the objectives in the project was to decrease the number of tendons needed for the TLP. The resulting innovative hull configuration requires fewer tendons for stability. Concept development is nearly complete, with ABS playing a prominent role in the process from start to finish, performing design review and verification. "We are very satisfied with this development because the design focuses on the issues that are critical under current market circumstances," says Mr. Jong H., Youn, Vice President, Samsung Heavy Industries Co. Ltd.
"We strongly believe that this innovative TLP hull concept can achieve exceptional economic benefit while maintaining the same safety level and technical functionality. Additionally – not only for this project – we would like to point out the close cooperation between ABS and SHI throughout the development. Successful conclusion of the development has been achieved on the basis of ABS’ extensive experience in the offshore market for various types of TLPs."